Researcher Gautham Ram Chandra Mouli developed a system which charges electric cars quickly and directly using solar power. On Monday 26 March, he will be awarded his PhD at TU Delft for his work on this subject. Electric cars are seen as the sustainable future of transport. But they are only truly sustainable if the electricity used to charge them comes from sustainable sources and not from fossil fuels. This is why researchers and businesses are also looking into charging electric vehicles with solar panels. 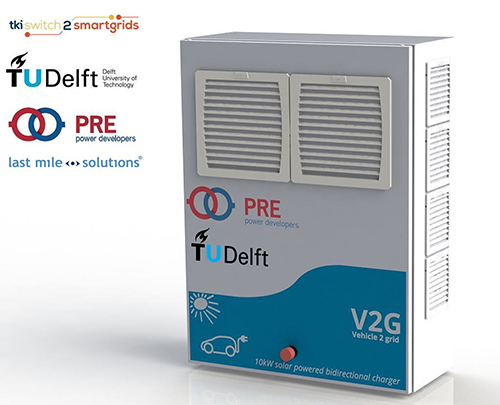 Based on Gautham Ram Chandra Mouli's doctoral research, TU Delft has developed a quick charger together with the companies Power Research Electronics and Last Mile Solutions which can charge cars directly with electricity from solar panels. The project is funded by the Dutch Urban Energy Top Consortium (TKI Urban Energy). The use of this charger means that the electricity grid is no longer needed as an interim stage in charging. In addition, the system works two ways: not only can you charge your electric car with solar power, the energy from the charged car battery can also be used to supply your house with electricity. Moreover, it is also possible to deliver electricity back to the grid, although this first requires conversion into alternating current. In principle, the system can be expanded by connecting several chargers and solar panels together. 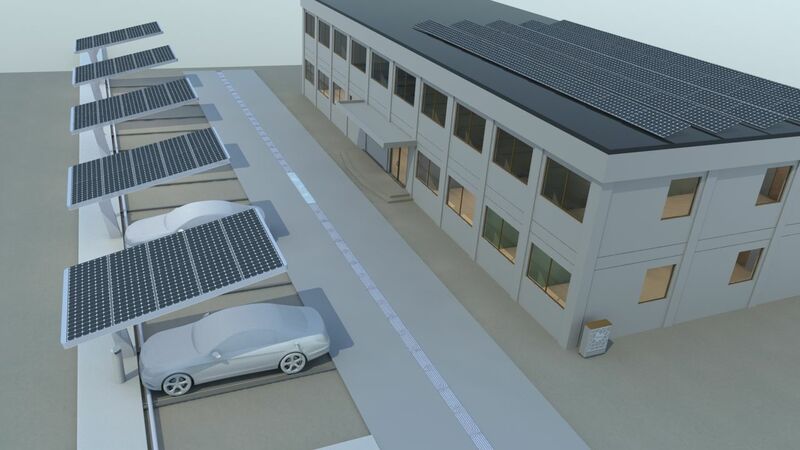 In the future, this would enable business parks and residential districts to supply electricity in a new way, partly separate from the electricity grid. The company Power Research Electronics has now produced a number of high-speed chargers of this type. 26 March 2018 at 12:30, Aula Building TU Delft, Mekelweg 5. 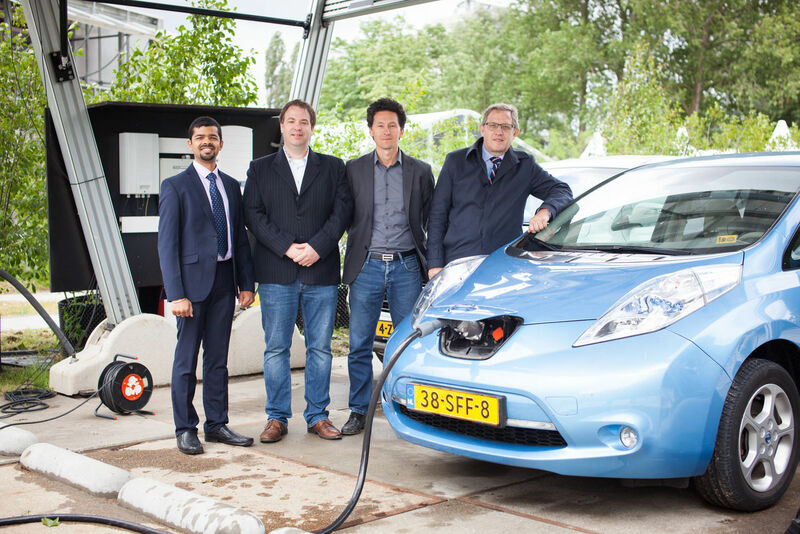 Gautham Ram Chandra Mouli explained the high-speed charger in the summer of 2017 in the programme The Breakthrough of EenVandaag (only in Dutch).